Wide vision scratch resistant coated lens. Four point moulded indirect ventilation. Soft clear PVC housing for wearer comfort. MX2 non-mist coating as standard. Wide, high quality adjustable headband. 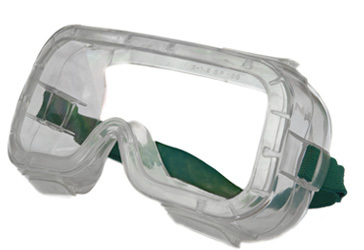 Protects eyes from chemical splash, dust and molten metal.